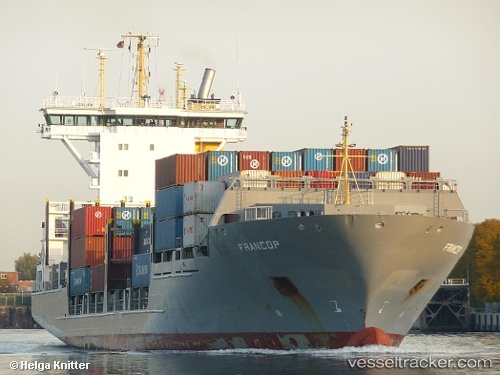 In the morning of Nov 14, 2018, a crew member of the "Francop" died in an accident during cargo operations. The ship was berthed at the Marine Terminal in Dublin at that time, having arrived from Rotterdam on Nov 12. The accident occurred during shifting of containers on board the vessel. The crew member fell during the shift and was crushed.